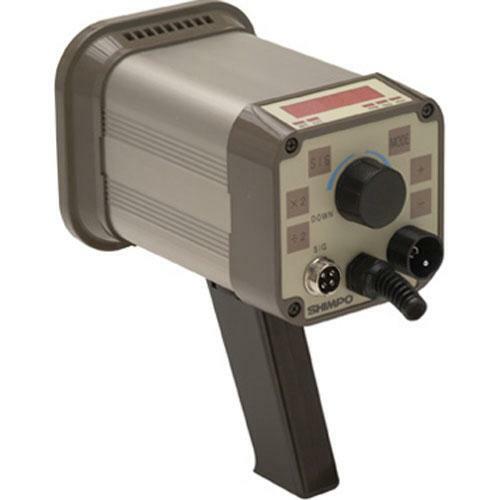 The DT-311A stroboscope provides the illusion of “stopped motion”: by adjusting the strobe’s flash rate, equipment appear to be standing still or in slow motion. The DT-311A also measure rotational (RPM) or reciprocating (strokes per minute) speeds with the same precision as an electronic digital tachometer. Ideally suited for printing inspection, motion analysis, preventive maintenance and speed measurement of repetitive motion, DT-311A strobes provide timely data on vibrating parts, leaks, spray patterns and a variety of industrial and scientific operations the DT-311A stroboscope is extremely easy to maneuver and operate via its lightweight and compact design and simplified user interface. Its rugged metal construction provides unequaled reliability in the harshest environments. LO level: 0 -0.8 VDC, HI level: 2.5 – 12 VDC or open collector (NPN),pulse width 50 µsec min.